The Free Version is also available now. Lone is a warrior on a quest to restore his memory. When tragedy starts to follow him like a tail, he wonders if maybe his past is best left buried. Zeran's Folly is a story-driven action-adventure with fluid melee combat, four unique playable characters, and a twisted sense of humor. Even with murderers and thieves as your best allies, the caustic landscape from the fiery pits of Dorfhole to the darkest depths of Pukamake Grotto will rip you apart if you're not at your best. Four characters! Four of 'em! Each of the four playable characters has their own move set and special upgrades to make them shine even brighter. Lone is an axe-wielding berserker, rushing into battle and fighting face-to-face. Lydia is a resourceful mage, taking out enemies from afar with her mana bombs. Lisa is a heavy knight with a huge spear, eager to make char siu out of anything that gets in her way. Last but not least, Abby is the mischievous rogue, fast as lightning and twice as deadly. Figuratively speaking, anyway. Get into the groove of things by doing a deadly dance of blades with your enemies. Each character has moves that affect their flow for fast yet tight control. Use the environment to your advantage to secure kills in dazzling and strategic ways. A huge interconnected world to explore with secrets galore! There are six daunting dungeons to delve into and a vibrant world to explore, all packed with hidden goodies. Path of Flowers Update now Live! The Path of Flowers update has been released for Steam users. Whispers tell of a secret grove, with beautiful fairies and a wondrous pool that infuses metal with magic. The Path of Flowers is home to the Mega Well, the only means of upgrading your rings into Mega Rings. Upgraded rings have magnified abilities and, in some cases, even extra abilities. Be careful though--most Mega Rings take more Ring Power to use. 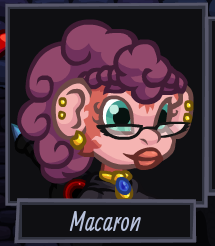 Also new in the update is Macaron, the official Hideout rumor-monger. She has the latest scoop on everything secret, so pay her a visit if you're into that sort of thing. Macaron is a guest character from @caramel_kitteh. Check out her stuff! The newest and most difficult achievement is "The Mountain". Can you beat the game without getting a single upgrade? That means no rings, no hearts, no Hip Flask, no talents, no Anne, nothing. Is it even possible? Give it a try! While supplies last, keys will be given away in exchange for fan art of the game. Simply share your art on your platform of choice and include a link to the store page for Zeran's Folly. Then, contact @myroidtc on Twitter or send an email so you can get your key. Anne's update is live! Here are some future updates. Some stuff about the Steam version and plans after release. Zeran's Folly will be on Steam for Windows PC (and maybe other things) this Fall. 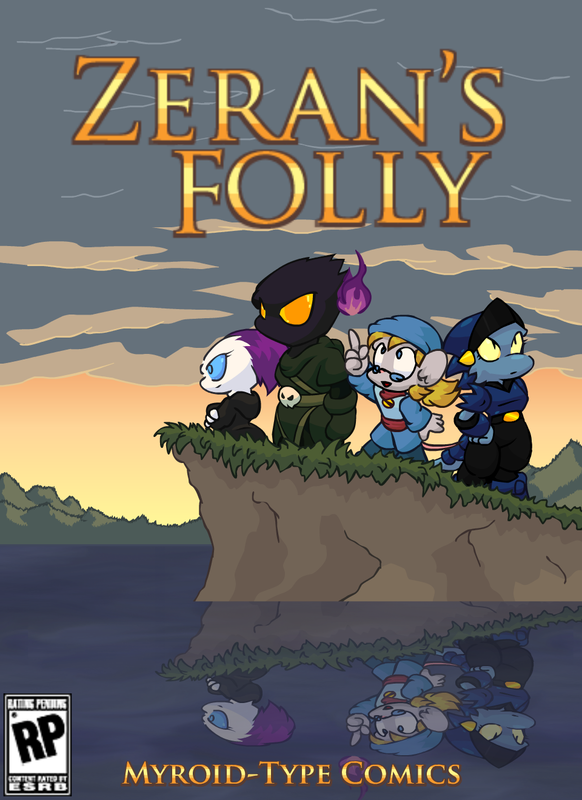 Zeran's Folly is now on Greenlight and some other stuff happened too. Contains the full, playable game. However, it will never be updated and will lack the features the paid Steam version has. I'm looking at the screenshots and I can't tell if the art is really high-resolution sprites or vector graphics. I'd love to work with vector graphics, but I don't know how to start/what libraries to work with. It does look cool though. I tried the demo a while ago, but I only have a graphics card with 1GB of VRAM, so I'm kinda hosed as to playing it now. Once I upgrade I'm planning on buying the game. It's high-resolution sprites made from vector graphics, so sort of both, ha. I just used Flash to make the pieces then used Spine to animate the characters and stuff. Also, the Steam version has reduced requirements if you play on lower graphics settings. Give it a shot, it's on sale for the rest of the day! If you're talking about Millie 6: no, sorry. If it's any consolation, Millie and Lance appear as side characters in Zeran's Folly and you can talk to them. They say some things about what they've done and what they're up to now. Later, after doing a sidequest where you play through the Millie 7 levels, you can recruit Anne as an optional playable character. I've thought about porting Millie 6 using the new engine before. However, less than 100 people ever got to Algor Fortress so I'm not sure it would be worth all the time it would take. Thanks for the review! I'll keep your critiques in mind. any plans for online co op? Not currently, but I'll see what I can do. Even though Leowald is over halfway done I wouldn't say it would take another year to finish. Will have it done before the end of the year. I would say Leowald is at least 50% done. I don't buy assets because I don't want my game looking or sounding like someone else's.